The Chinese stock market: What are A-shares? In this context, A-shares are shares of companies based in mainland China that trade on the Shanghai Stock Exchange or the Shenzhen Stock Exchange. A-shares are quoted in the currency Renminbi. Historically, only mainland citizens were allowed to trade in A-shares on the exchanges. Since 2003, the Qualified Foreign Institutional Investor program (QFII) has made it possible for foreigners to trade in these stocks on the exchanges. However, only approved foreign institutional investors can do this. Also, there is a monthly 20% limit on repatriation of funds to foreign countries. It is possible for a company to have its stock listed on both the A-shares and the B-shares market. There is a tendency for the A-shares to trade at much higher prices than the B-shares, since it is difficult for Chinese investors to gain access to the B-shares market. 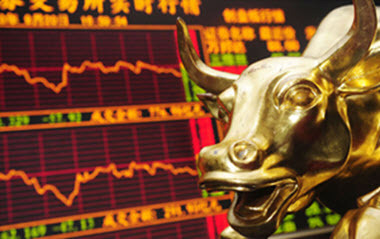 The Shanghai Stock Exchange (SSE) publishes the SSE 180, a key performance index for A-shares on the SSE. It is comprised of 180 stocks listed on the SSE. The selection is made by SSE and is diversified in terms of sectors, company size and liquidity. Options trading based on A-shares are severely limited for both Chinese and foreign investors. The Chinese stock market: What are B-shares? In this context, B-shares are shares of companies based in mainland China that trade on the Shanghai Stock Exchange (in United States Dollar) or the Shenzhen Stock Exchange (in Hong Kong Dollars). B-shares are not quoted in Renminbi. They are open to both domestic and foreign investors, provided that the investment account is in the proper currency. In reality, accessing the B-shares market is difficult for most domestic investors, partly due to the currency requirement. Historically, domestic investors where not allowed to invest in B-shares. Mutual funds and exchange-traded funds (ETFs) that invest in China will typically hold B-shares, H-shares and N-shares. The Chinese stock market: What are H-shares? In this context, H-shares are shares of companies based in mainland China that trade on an exchange that isn’t based in mainland China. 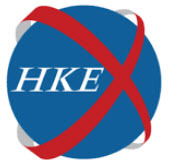 Typically, H-shares traded on the Hong Kong Stock Exchange. H-shares are regulated by Chinese law but denominated in Hong Kong Dollars. Historically, only foreign investors could trade in H-shares. Since 2007, mainland China investors have a limited ability to trade in H-shares. At the time of writing, roughly one hundred mainland China companies have issued H-shares. When a company has issued both A-shares and H-shares, the A-shares tend to trade at a higher price than H-shares since it is more difficult for mainland China investors to access other shares than A-shares. In November 2014, the Hong Kong Stock Exchange was linked to the Shanghai Stock Exchange, and the rules governing who could purchase A-shares and H-shares were altered to make it possible for Chinese investors to select from a wider assortment of shares. The Chinese stock market: What are N-shares? N-shares are shares in Chinese companies traded on NYSE, NYSE MKI or NASDAQ in the United States. They are considered Chinese companies since they have their main business operations in mainland China, although most of them are incorporated outside mainland China. Bermuda, British Virgin Islands, Cayman Islands are common countries of incorporation, as well as the U.S. states Delaware, Nevada and Florida. Mutual Funds and Exchange-traded Funds with Chinese exposure typically hold H-shares and N-shares. The Chinese stock market: What is a Qualified Foreign Institutional Investor (QFII)? 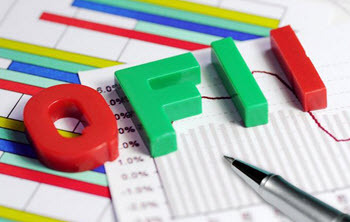 The Qualified Foreign Institutional Investor Program (QFII) was launched by the Chinese government to give approved foreign investors access to the Shanghai Stock Exchange and the Shenzhen Stock Exchange. Before the implementation of QFII, China’s strict capital controls prevented foreign investors from trading at mainland China exchanges. A foreign institutional investor that has been approved under the QFII can buy and sell A-shares, Treasure Bonds, Corporate debentures, Covertible bonds, a certain other financial instruments approved by the China Securities Regulatory Commission (CSRC). Quotas set by the Chinese government limit the amount of money that an approved foreign institutional investor is allowed to invest under the QFII. 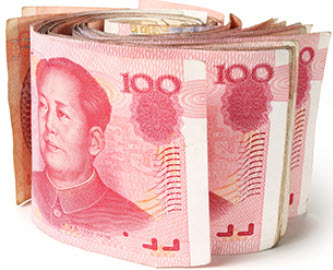 The quotas are granted by China’s State Administration of Foreign Exchange (SAFE). The requirements for being approved under the CFII vary depending on the type of investor. A fund management company doesn’t have to fulfill the same requirements as an insurance company, and so on. In addition to fulfilling the requirements, an investor must also transfer a required amount of foreign currency and have it converted into local currency before trading can commence.